Ridderflex wins the Innovation Challenge and a successful Meet-up of the Offshore Wind Innovators Community. Ridderflex & Plastics, a producer and manufacturer of rubber and plastics, took on the challenge of SeaZip who is in search of a perfect fender. Ridderflex made a problem analysis first, followed by speaking with experts in order understanding the issue well. They managed to present a new type of fender made of polyether urethane which appears to suit the needs of SeaZip. This has led by the jury and challengers to choose them as the winner of the Innovation Challenge 2018. Erwin Coolen opened the finale of the Innovation Challenge and as Key Note speaker Hans Timmers from NWEA expressed the importance of innovations in the offshore wind sector. 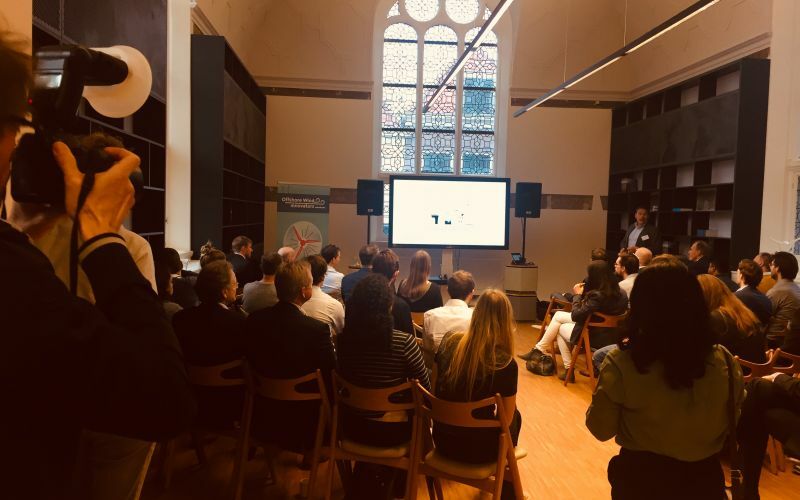 After this the three finalists: Ridderflex, MEL Systems & Filtertechnick, and Prodrone & Skeye pitched their solutions for the Offshore Wind Innovators Community and other interested organisations. Based on their developments and research of their product; Ridderflex provided the best solution; the perfect fender! Hence they have been chosen to be the winner of the offshore wind innovation challenge 2018. during the three phases of the Innovation Challenge, Ridderflex was chosen. The Dutch offshore wind industry is recognized for its experience, expertise and innovation skills. To make offshore wind even more affordable, reliable and sustainable, game changing innovations are necessary. They will give offshore wind the best position in the energy system, both in the Netherlands and internationally. That’s why Offshore Wind Innovators has taken the initiative to launch the Offshore Wind Innovation Challenge. For more information about Offshore Wind Innovators and the Challenge please get in touch with Martin Weissmann or Erwin Coolen. Read more about the Offshore Wind Innovation Challenge here.